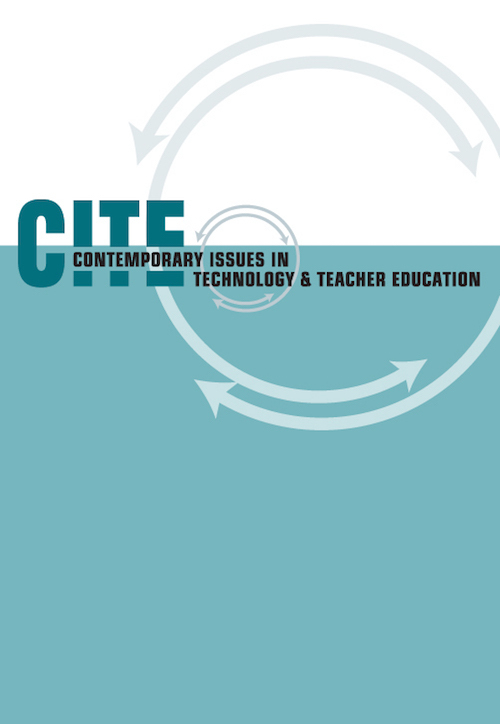 As a commentary aimed toward revision of “Beliefs About Technology and the Preparation of English Teachers: Beginning the Conversation” (Swenson, Rozema, Young, McGrail, & Whitin, 2005), this paper encourages the authors to focus on the multiliteracies that technologies enable as a guiding theme rather than on technologies themselves. It also contends that revisions could be more congruent with current trends in K-12 literacy instruction, namely addressing how multiliteracies and design-based learning can connect with standards and assessment. In so doing, it suggests that the revision of this belief statement can expand the conversation from one primarily about technologies to one that focuses on the changing nature of literacy as well as the larger and long-term implications of this shift for English education. Hicks, T. (2006). Expanding the Conversation: A Commentary Toward Revision of Swenson, Rozema, Young, McGrail, and Whitin. Contemporary Issues in Technology and Teacher Education, 6 (1), 46-55. Waynesville, NC USA: Society for Information Technology & Teacher Education. Retrieved April 22, 2019 from https://www.learntechlib.org/primary/p/21862/. Baron, D. (2001). From pencils to pixels: The stages of literacy. In E. Cushman, E.R. Kintgen, B.M. Kroll, & M. Rose (Eds. ), Literacy: A critical sourcebook (pp. 7 0-84). Cope, B., Kalantzis, M., & New London Group. (2000). Multiliteracies: Literacy learning and the design of social futures. New York: Routledge. Elbow, P. (1990). What is English? New York: Modern Language Association of America. Kress, G.R., & Van Leeuwen, T. (2001). Multimodal discourse: The modes and media of contemporary communication. London: Oxford University Press. Roblyer, M.D., Edwards, J., & Havriluk, M.A. (1997). Integrating educational technology into teaching. Upper Saddle River, NJ: Merrill. Russell, M., Bebell, D., O’Dwyer, L., & O’Connor, K. (2003). Examining teacher technology use: Implications for preservice and inservice teacher preparation. Journal of Teacher Education, 54 (4), 297-310.